The Baby Hummingbird. Captured in photos. A baby hummingbird is truly a wonder of nature. They begin life as the smallest eggs in the world. Weighing approximately 0.62 grams these white non-glossy eggs are less than ½ inch long. Their small size is often compared to a jelly bean. 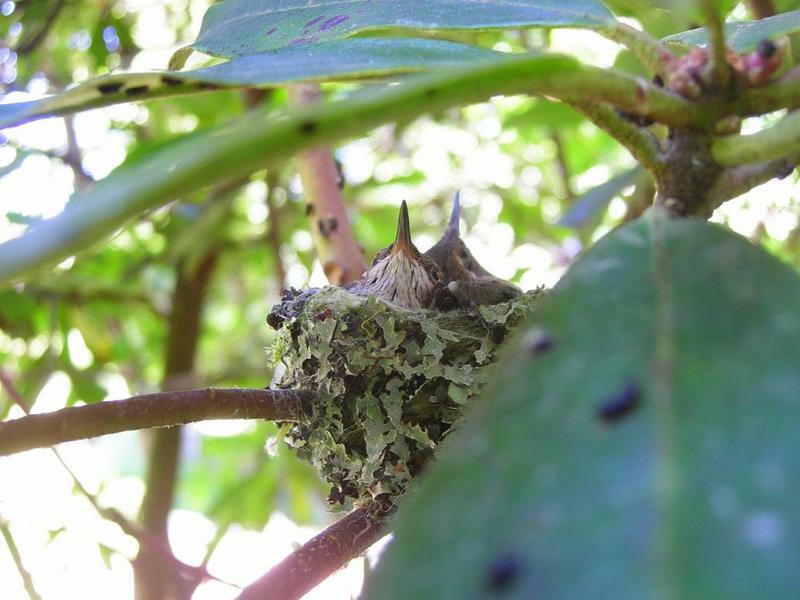 The mother hummingbird usually lays only two eggs. Occasionally, there may be only one. 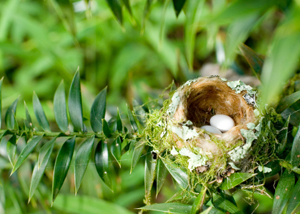 Two is probably the best number of eggs for one hummingbird to care for. She incubates the eggs for about 2 weeks.......longer in colder climates. This is a relatively long time for a bird incubation. 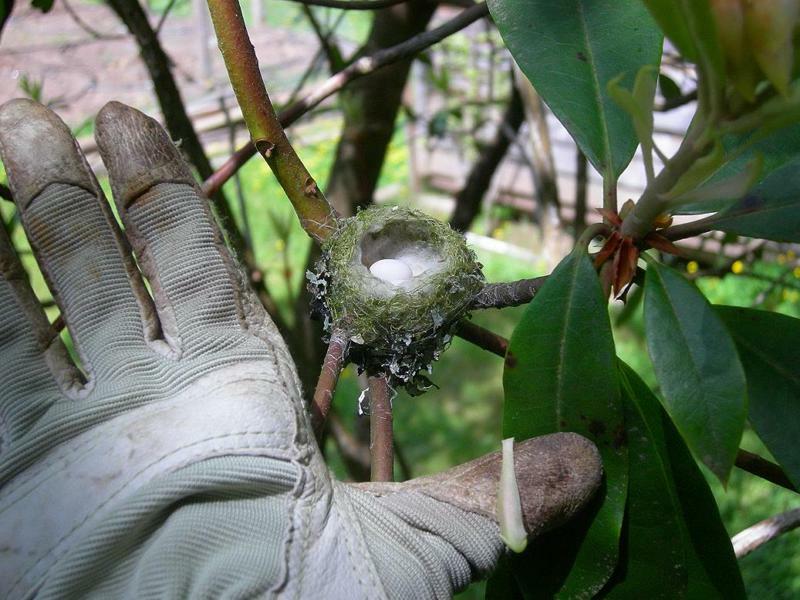 When the baby hummingbird is still in its egg, they have strong neck muscles and a hook on their short bill in order to peck their way out. 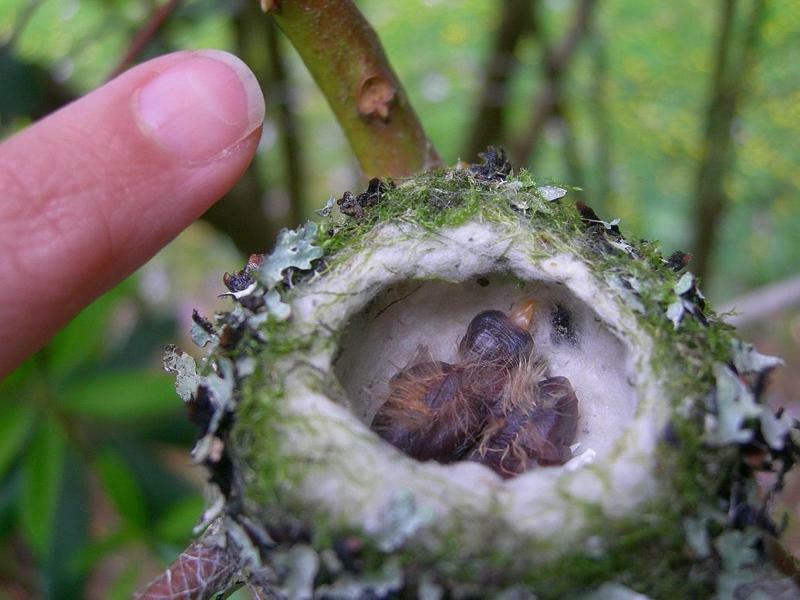 Hummingbird babies are born blind and naked without feathers. 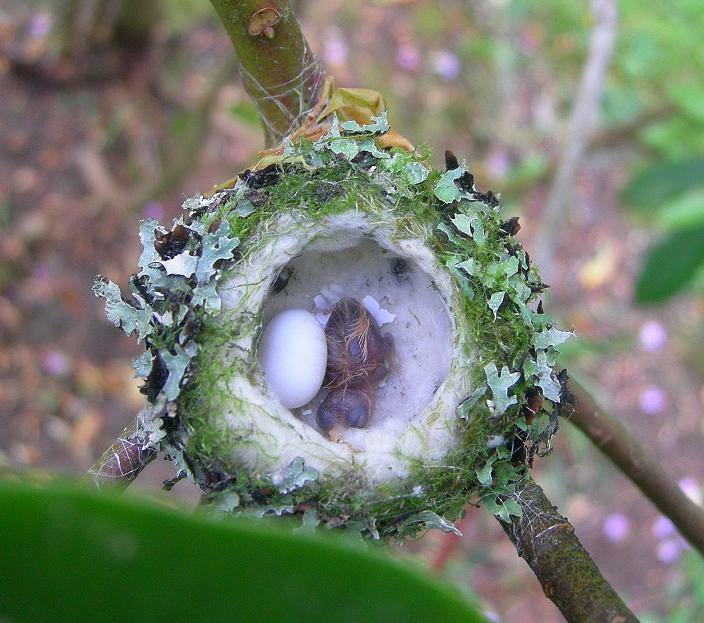 At first, the hummingbird mother will keep her babies warm by sitting on the nest. 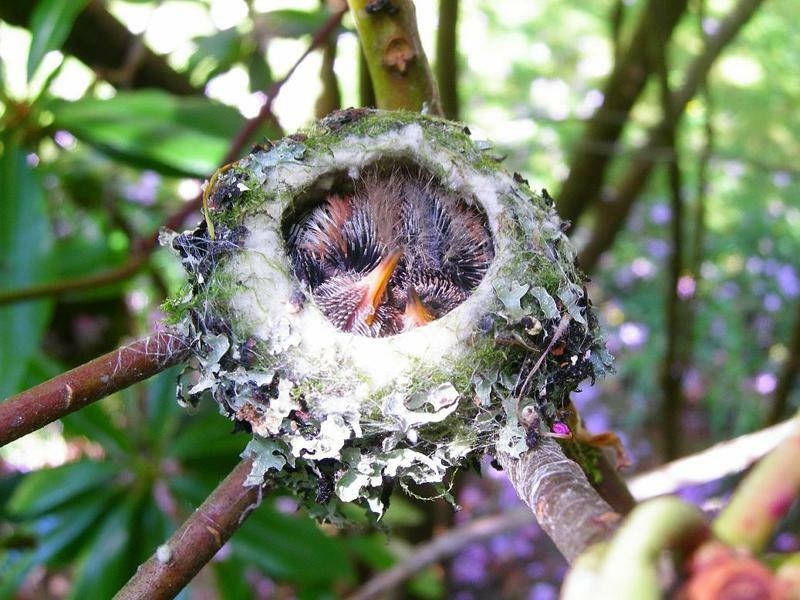 See a gallery of photos of a hummingbird nest and the first 20 days of the chicks in the nest before they fledge the nest. 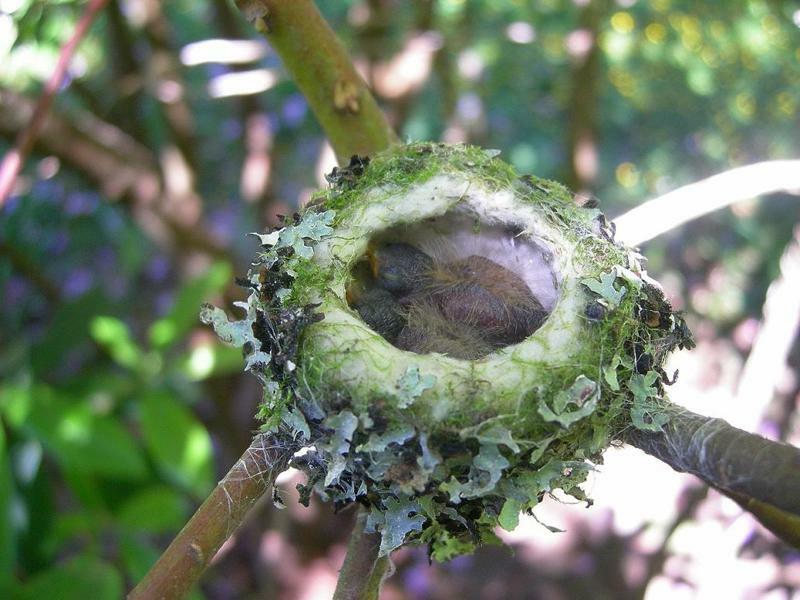 Have you ever watched a baby hummingbird feed? 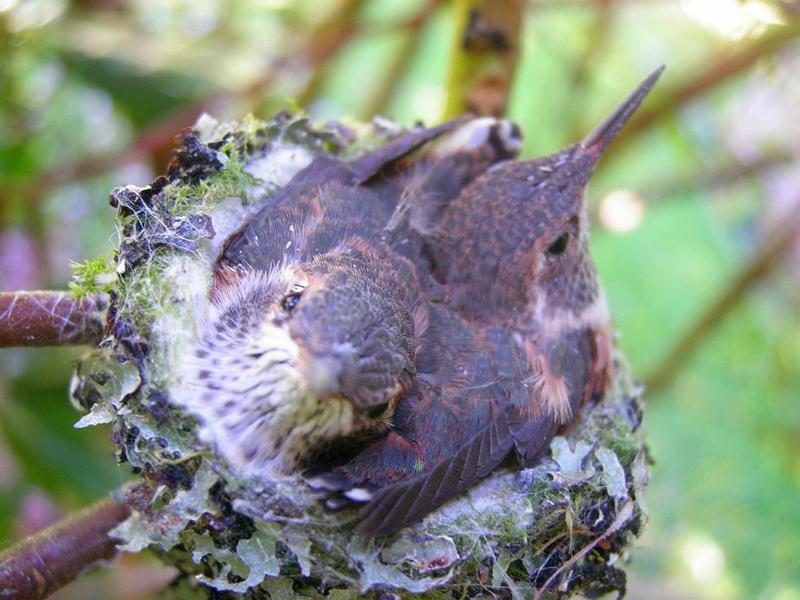 Did you know that many chicks including hummingbirds can feel the wind from the wing of their mother as she approaches the nest. So although, they are born blind, this is how they know to lift up their tiny heads and open their hungry mouths. The newborns cannot feed on their own. The mother inserts her beak into the throats of her babies dropping the regurgitated insects and nectar. 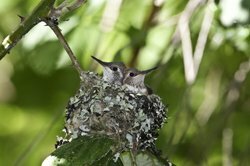 Since the baby hummingbird grows quickly (doubling in size everyday during those first days), she can soon leave the nest more frequently in order to catch insects and gather nectar to feed them. As the chicks get older the mother spends extended periods away from the nest. After they grow, she begins to give the chicks independence. In about a week or so the growing chicks will be covered with fuzzy new feathers. Even so, it takes at least 9 days before they can regulate their own body heat. After about two weeks, they start to look more like small adult hummingbirds. By then, they have grown real feathers and their beaks (depending on the species) are often longer. 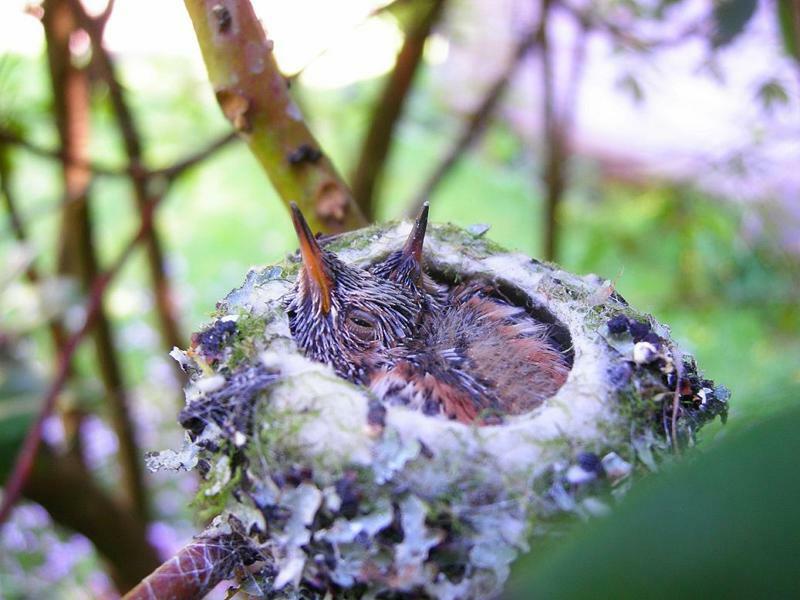 After three weeks, the young birds are ready to leave the nest forever. Sometimes, she watches them from a nearby branch. If you are fortunate to see this, there is no need for any rescue. 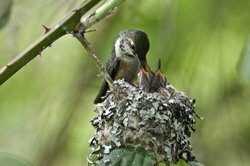 Instead you can enjoy hosting your young hummingbird family. Once they fly away, they won’t return to the nest again. 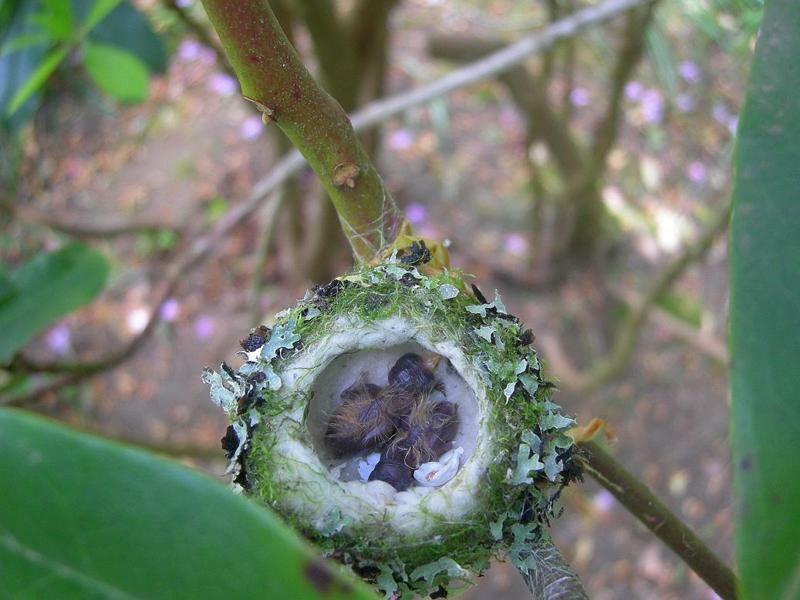 For a few more days, hummingbird mothers continue nurturing their young. They remain close, leading them to the best food sources. I saw a female come close as if to sip nectar. However, she only hovered nearby signaling her baby hummingbird to the feeder. After the baby hummingbird had it's fill, the older hummingbird took her turn. 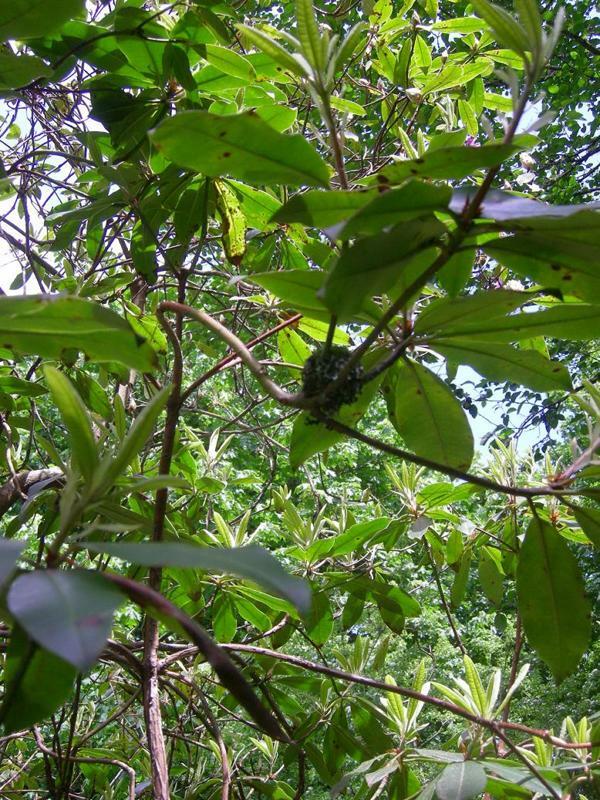 We hope that as you learn about the habits of hummingbirds, you will begin to notice a variety of behaviors to enhance your enjoyment even more. 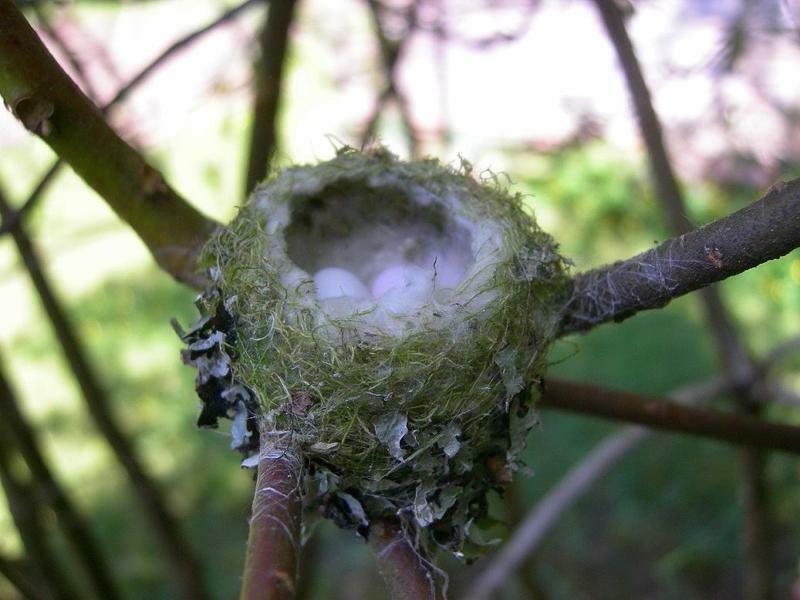 A Few of Us Are Lucky Enough to Find a Nest and Witness the First Days of a Hummingbird's Life! 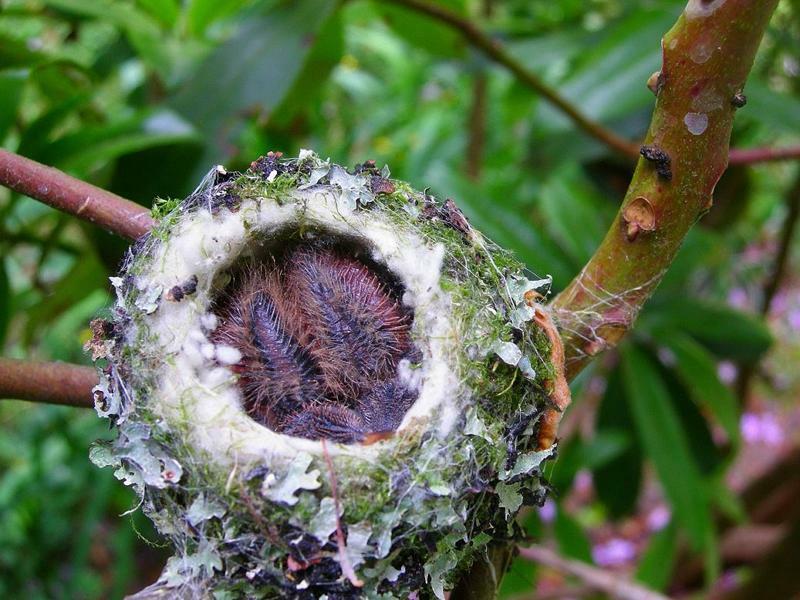 Here are photos of a nest and the progression of a couple of baby Rufous hummingbird's growth until they leave the nest submitted by Melissa, one of our facebook fans. 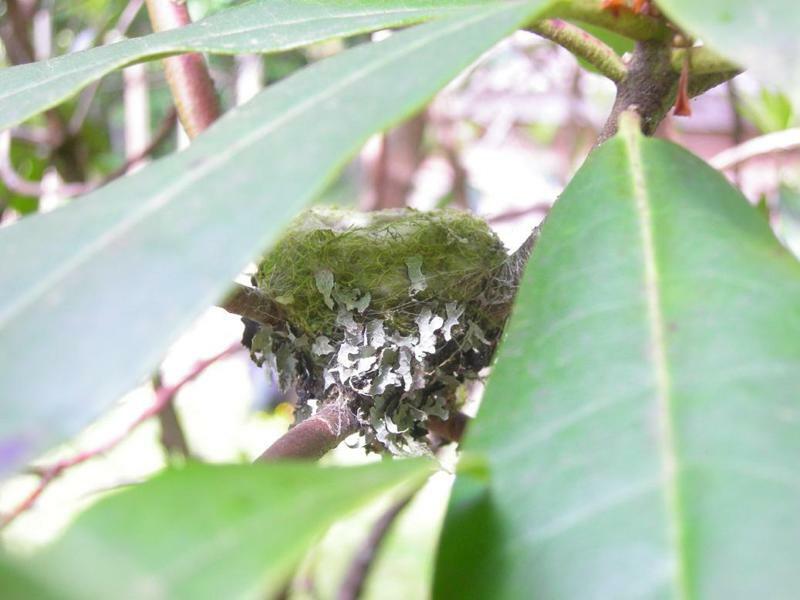 "It was purely accidental that we came upon this nest because it was so well hidden in my rhododendron.We were thrilled when we spotted the nest and even more so when we saw the tiny little eggs as small as a jelly beans. So very grateful and blessed that mama hummer let me peek into her nursery/nest every couple of days to snap a picture and watch the progression of her babies.. but not a peep did they make when I was photographing them..truly a humbling experience watching these tiny birds and their even smaller babies.Seems like they grew over night, the nest was out of a fairy wonderland so small, round and perfectly perched on the tiny branches..it was amazing watching the nest stretch with the growth of the babies and the nest was well worn by the time the babies fledged.I look forward to the spring and seeing more babies! I am now forever looking up, down, everywhere for another nest to spy on and experience the miracle of nature." Thank you Melissa, I'm sure everyone will enjoy this! Click on one of the thumbnails to see a gallery of larger photos. TIP: In the gallery click on the button in the upper right hand corner to enlarge the photo for a dramatic view of each photo.